Horses are renowned for their beauty and their truly life-changing interactions with people. Anyone who has worked closely with these magnificent animals will attest to their intelligence, heart and courage. They live their lives in separation from their innate love of freedom in order to bring joy to the people who cherish them. It is our duty to provide the best for them, both body and spirit. Their dietary needs are somewhat unique compared to other livestock, their emotional needs are arguably not unlike the people who work with them. In many cases, the way they are kept presents an even greater challenge to restoring and maintaining health. Proper mineral balance is critical for them to be healthy from hoof to head and proper digestion is the start of nutrition. 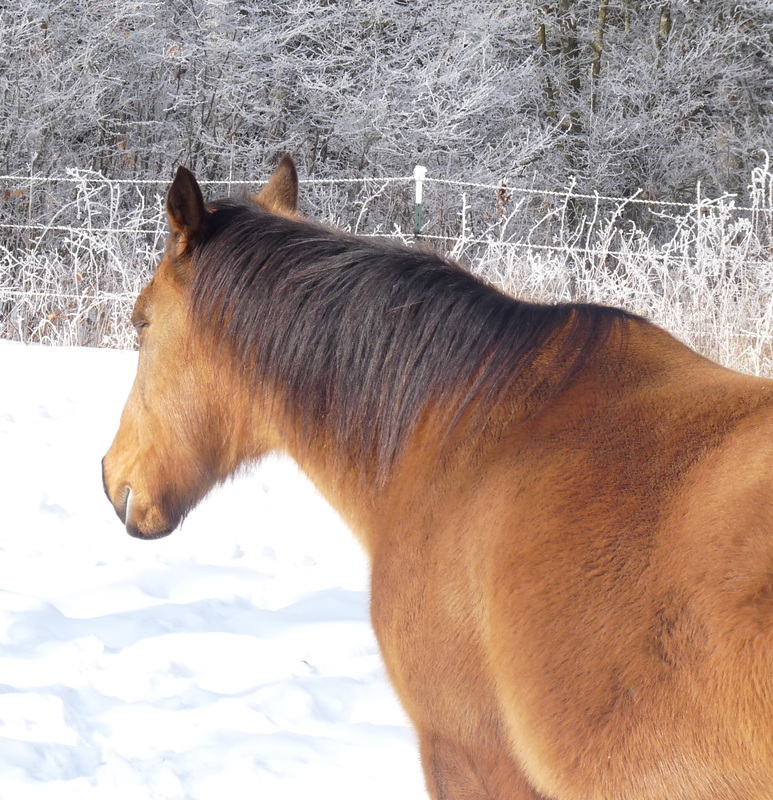 Whether you keep horses for their beauty alone, to improve a breed, work with them under saddle, in the fields or in therapy situations, it is worth your time to help them achieve true health. Digestion is the root of all evils, and the beginning of all cures. Horses have a long colon in comparison to other species (this is not to be misconstrued as a design flaw that sets them up for colic, as some authorities would have you believe). The importance of minerals for beneficial bacteria health and roughage for proper digestion cannot be overemphasized. Adequate exercise is important for circulation (and hoof health), digestion and emotional health. Without healthy hooves, horses cannot move properly. Coleby, 2010, p. 20-21, 100, 107). Swenson, M. 1984. Duke's Physiology of Domestic Animals (10th ed.). NY: Cornell Univ.